In the very heart of the Greek capital rises the flat rocky formation known as the Acropolis. That’s where Athens saw its early beginnings as an urban centre. 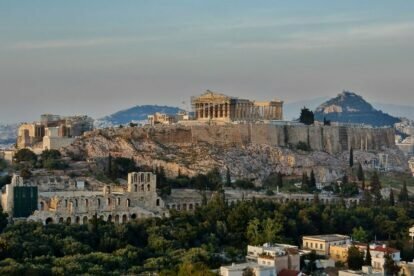 Ascend its steep slopes, let yourself be captivated by the imposing beauty of the Parthenon, then admire the 360-degree view of the city that the hill offers to its visitors. Athens looks like a tidal wave of buildings that has swallowed everything in its passage, but that for some reason it has followed the uneven lines of its hills and the surrounding mountains rather than molding them to its will: it has been built on highs and lows, and highs and lows have marked its fate too. 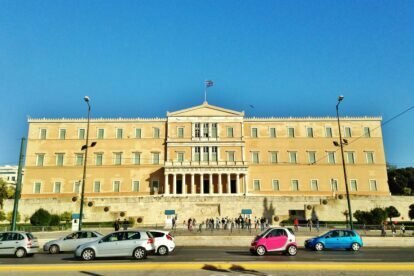 Birthplace of democracy, Athens’ political and cultural impact has shaped the Western civilisation as we know it today. Even after the Roman conquest, the city was universally regarded (along with Rome) as the main centre of the Empire for the arts and any scientific discipline. Under the Eastern Roman Empire, with Constantinople as a capital, Athens steadily started to lose its political and cultural relevance. The Ottomans eventually gave the city the coup de grace: deprived of any importance, besieged lost recaptured and looted several times, Athens had shrunk to a small country settlement. After the Greek War of Independence, there was no more than a bunch of houses inhabited by a few thousand people around the hill of the Acropolis. Chosen as the capital of the new Greek state, in the following decades Athens dramatically grew in population and dimensions. Nowadays Athens is a massive Mediterranean metropolis undergoing tough times. The economic boom of the 90s, culminated in 2004 with the Olympic Games, rapidly vanished and showed the fragility of its foundation, as the new millennium economic crisis struck Greece. Since then unemployment, discontent and poverty have quickly risen. On top of that, Athens cannot be regarded as a beautiful city: its cultural and architectural highlights do not compensate for its chaos, disorganisation and the overall messy (and aesthetically questionable) last-century urban sprawl. Yet Athens, for some reasons that are hard to define, weasels its way trough and puts you under a strange spell. 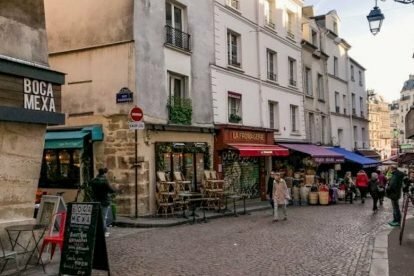 Maybe it’s the decaying and abandoned old buildings, or because here the West looks very much like the East; Or is it its colourful crowd that any day, at any time, populates its cafes and restaurants and fills streets and squares with life? Perhaps it’s the fact that the Athenians keep reinventing themselves and their city, and for each business devoured by the crisis a new one opens where you would never expect, maybe in an edgy neighbourhood which is soon to become the new, alternative area-to-be. Don’t believe us? Well, you should really spend some time in Athens then. At least 48 hours. As a local, of course. There are places with a good selections of desserts, and there are places with a ridiculous selections of desserts. Whether you want to try some traditional Greek or you’re fine with more mainstream ones, start off your day at Sermpetia of Psirri. Located in Psirri, an historic neighbourhood that has maintained many of its characteristic buildings, Sermpetia’s generous portions will fill your belly till the time for more food comes. 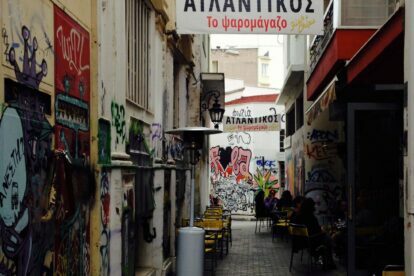 Psirri is a strategic place to start to walk around Athens and spot some interesting graffiti. 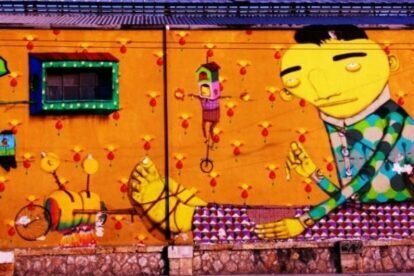 In the last years the city has become quite a hot spots for street artists, and even if you don”t care much you’re likely to bump into some of them in Psirri itself, Plaka and definitely in Pireos Street – where they’re often huge in dimensions and extremely colourful. Not far from Pireos street there’s also the Kerameikos. 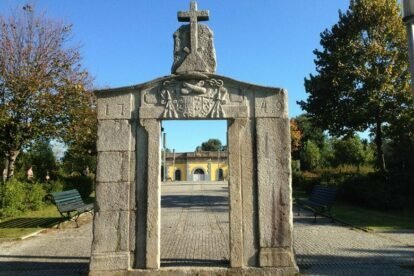 What in ancient times was the city cemetery is now an open air museum, where you can take a break from the city noise and stroll around while looking at the thousand year-old vestiges of ancient Athens. 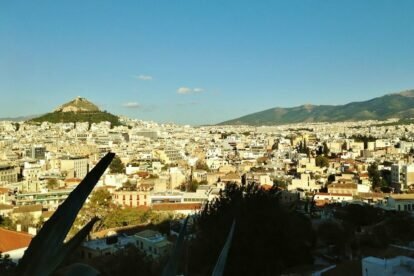 Athens as a city itself is not on the sea, but the port city of Pireaus and the Greek capital have blended into what is now a whole urban agglomeration. 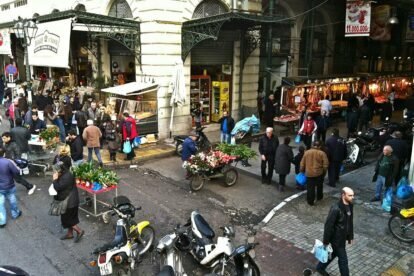 It derives that Athens’ markets are daily supplied with a lot of fresh seafood. Hidden in a tiny alley of Psirri, O Atlantikos is one of the few fish restaurants in the city centre – and a favourite of Spotter Sofia. In case you’re not a big fan of fish, but still you’re after a quiet place (you will often find yourself looking for some silence in Athens) try the Black Duck Garden. As the name suggests, the Black Duck is hosted in the leafy garden of the palace where the first king of Greece, Otto, and his wife Amalia settled upon their arrival in Athens. In this sophisticated atmosphere art exhibitions and music performances take place quite often too. In you’re having your lunch here, you might also take the chance to visit the building itself, now home to the Athens City Museum: it was opened in 1980 and boasts a very diverse collection of art, music instruments, books and relics (which is often ignored by or unknown to Athenians themselves). The museum is located in one of the liveliest and coolest neighbourhoods of the city centre, just a stone’s throw from Kolokotroni and Karageorgi Servias streets: less commercial than their bigger parallel street Ermou, they are packed with restaurants and cafes, bakeries and shops selling any type of goods. Paraphernalia opened in the area not long ago, and has an artsy, yet beautiful and functional, selection of office wear, furniture and various accessories – all of them conceived and developed by the two young artists who run it. As in any big international centre, in Athens you can find any type of restaurants. Mama Roux is a funky spot with a cool industrial interior. However, it’s their menu that will convince you to stop here for dinner: their choice ranges from Korean to Syrian and American traditional dishes, always enriched by the creative touch of the chefs. Alternatively, in the upcoming (yet still pretty run down) neighbourhood of Metaxourgeio, Seychelles‘ cuisine makes use of fresh and healthy ingredients coming from all over Greece (another plus: their cocktails are as great as their cuisine). 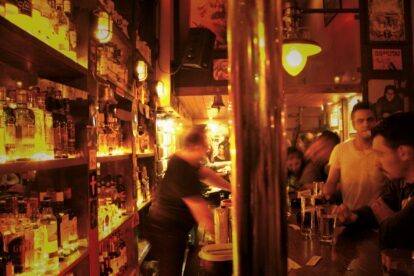 For some after-dinner drinks, you will notice that Athens boasts such a high concentration of bars (regardless of where you are) that you’ll be spoilt for choice. If you’re searching for somewhere to hide from the hustle and bustle of the main nightlife spots, visit Galaxy Bar. This small place with a long wooden bar is located in a stoà (Greek for “arcade” – Athens is full of them); if you end up there, its vintage vibe will take you back to the 70s. Up for a more crowded environment? Just walk on Lekka street and you’ll surely find a bar – such as Ampariza or Omikron – that fits you. On Lekka there’s a speakeasy too, but we’re not telling you where it is: you’ll have to find the right doorbell to ring if you want to get in!. Greeks eat late and stay up till late too. This is one of the reason Athens is constantly busy, at every hour. Batman is a bar that only opens at 23.00, and according to Andreas it’s the kind of venue you should head to if you want to experiment some real Greek entertainment. At Batman the real protagonist is Greek music, played either by its owner/dj or by the musicians who often have a drink here. At the opposite side of city, not far from Omonia Square, Spinster has brought some sparkle into an area that it’s as central as it is deprived. Spinster gives its best during the long Athenian nights, when it hosts different djs playing any type from music, from indie to electro. It is true that many Greek family-run businesses have suffered from the crisis; some had to close down, some others are struggling to keep afloat. However, just a few steps north from Omonia Square, little patisserie Stani is still thriving. Opened since 1931, awarded with a certificate of excellence in 1953 Thessaloniki International Fair, Stani is famous for its delicious home-made desserts and the fresh, high-quality ingredients (their yogurt, served in the traditional Greek way, is a blast). Keep indulging in the discovery of Greek traditional food products, and try to make your way through the shouting crowd at Varvakeios Market, just south of Omonia; the picturesque central market of Athens is the ideal spot to observe the daily routine of its citizens – and it’s a perfect stimulant for all the senses. In the Monastiraki area, Avyssinias Square is home of the biggest antique market in town: shops open daily till 15.00 and expose their goods both indoor and outdoor, crowding the square with chandeliers, knick-knacks, old cameras, and anything you can imagine. The square and the surrounding tiny streets look more like a bazaar, so have some fun digging, rummaging and bargaining. What’s one of the (several) reasons Greece is well-renowned for? Souvlaki. You will stumble on meat places at any corner, but don’t miss Kostas – est. 1950 for the real (and extremely cheap) souvlaki experience. 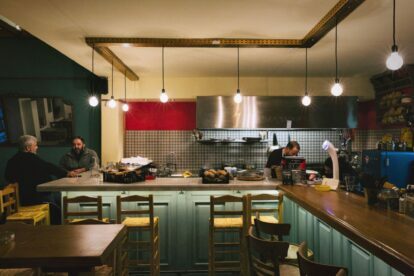 Another option, not far from Kostas, is Kimolia Art Cafe; Spotter Nikos’ mother and a friend renovated an old Athenian house and open this cozy cafe in 2011. They offer traditional Greek food and homemade desserts in an artsy, friendly atmosphere – the perfect place to rest your tired legs before start ascending to Anafiotika. 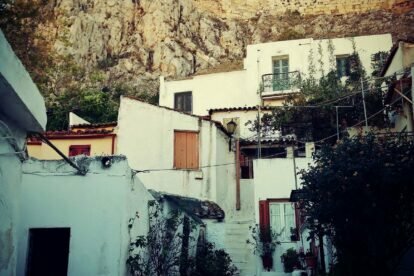 Clinging on the northern slops of the Acropolis, there’s a small cluster of narrow alleys: here the houses are tiny and white, their doors and windows painted in blue – as if a Cycladic village had been randomly thrown into Athens from an Aegean islands. Get lost in this little maze that offers incredible views both on Athens and the Acropolis. West of the Acropolis, the bare hill of Pnyx provides a peaceful, silent setting and, as for Anafiotika, a stunning view on the city. Indulge in some contemplation (and maybe a nap too) before you decide to get back again to the reality and Athens’ congested streets. Another perks of being in Athens is that the weather is basically and almost always just.. great. So just take advantage of that and stay outdoor as much as you can! Back to Avyssinias Square, Loukoumi‘s terrace is a privileged spot where to admire the awesome Athenian’s sunsets while enjoying a cocktail or a glass of wine before heading for dinner. In Psirri, Avli (Greek for “backyard”) is where you should go if you haven’t had enough with the Greek-island vibe you’ve previously experienced in Anafiotika. Avli’s secret location (fine, maybe not really anymore..) is ideal for listening to some Greek music and tasting traditional food at very, very cheap prices – and once again, you will fill you’ve left Athens for the Aegean Sea. 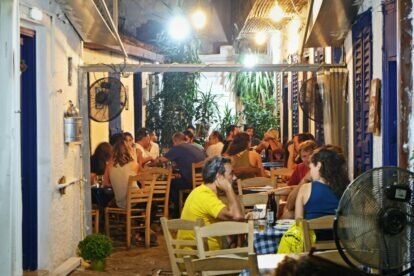 Alternatively, Klimataria is a taverna specialised in Greek/Athenian food and covered in vines. For later on, one of Margarita‘s suggestions is Cantina Social. It’ hard to spot it from the streets, as the bar only bears only a small sign on top of its door, but if find it you won’t be disappointed: Cantina Social is open until late night, and boasts cheap drinks and a nice indoor backyard always packed with chattering locals. 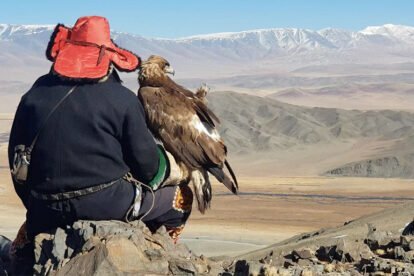 Forget tiredness and early morning flights: before you farewell Athens, our Spotter Marilena has two super-duper places to advise for later in the night: Six D.o.g.s and BIOS. The first one opens in the morning as a cafe, and after 8 pm becomes a bar – but it is also a gallery and a place for music events. Walk down the entry steps and you’ll find yourself in its internal garden, one of the most beloved spots by the Athenian’s youth to hang out and party. 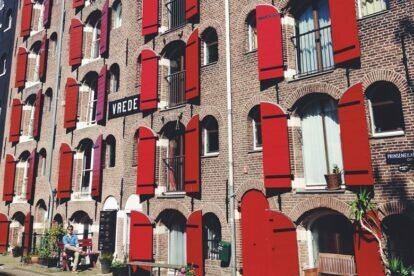 The second one is probably one of the hippest place in town and has a multi-purpose vocation: the basement is used for alternative gigs and experimental theatrical performances, while the first floor is a bar. 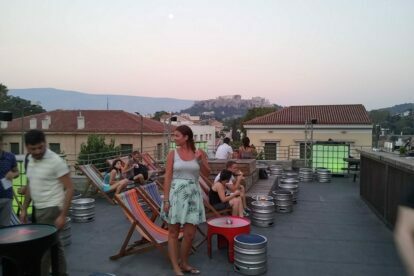 Another reason for Bios’ awesomeness: its rooftop terrace overlooking Athens. You started off by admiring Athens from the Acroplis – now admire the magnificently lit Acropolis with the Parthenon, the nearby hills surrounded by concrete and the Penteli Mountains in the background. 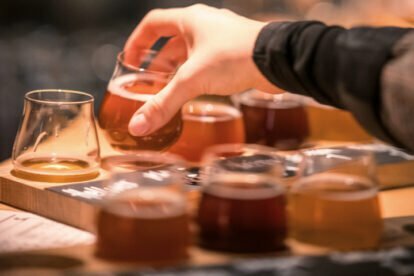 Yes, Athens is a city of highs and lows – but as your trip is coming to an end, you have to admit that the highs definitely outshine the lows. More? 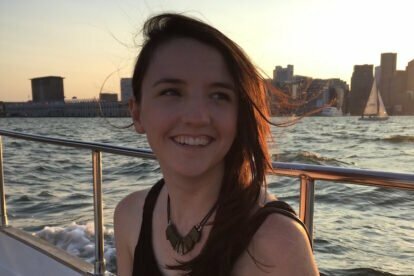 Check our Athens blog or app!